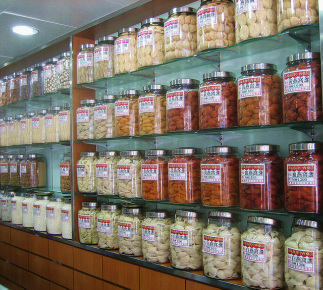 Traditional Chinese medicine is a broad range of medical practices sharing common theoretical concepts which were developed in China and are based on a tradition of more than 3,000 years, including various forms of herbal medicine, acupuncture, massage (Tui na), exercise (qigong), and dietary therapy. Dr. Nerman uses TCM in a wide range of conditions. There is general agreement that acupuncture is safe when administered by well-trained practitioners using sterile needles. Major adverse events are exceedingly rare and are usually associated with poorly trained unlicensed acupuncturists. (2) Dr. Nerman trained in Acupuncture at Boucher Institute of Naturopathic medicine (BINM) and was a part-time Medical Resident at the Center for Integrative Complementary Medicine (CICM) at Shara Tzedek Hospital, Jerusalem where he is practicing Traditional Oriental Medicine, with a focus in Japanese Acupuncture. 1. Ernst, E. (2011). "Acupuncture for pain: An overview of Cochrane reviews". Chinese Journal of Integrative Medicine 17 (3): 187–189. 2. Vickers A, (2002). "Acupuncture". Qual Saf Health Care 11 (1): 92–7. Herbal Medicine, the use of plants as medicines, predates written human history. In the written record, the study of herbs dates back over 5,000 years to the Sumerians (1) Plants contain pharmacologically active medicinal ingredients called phytochemicals which have been considered as drugs for millennium. Many of the drugs used in western medicine today are derived from plants. For example, Salicin a phytochemical with anti-inflammatory and pain-relieving properties, was originally extracted from the bark of the white willow tree and later synthetically produced to become the staple over-the-counter drug Aspirin. 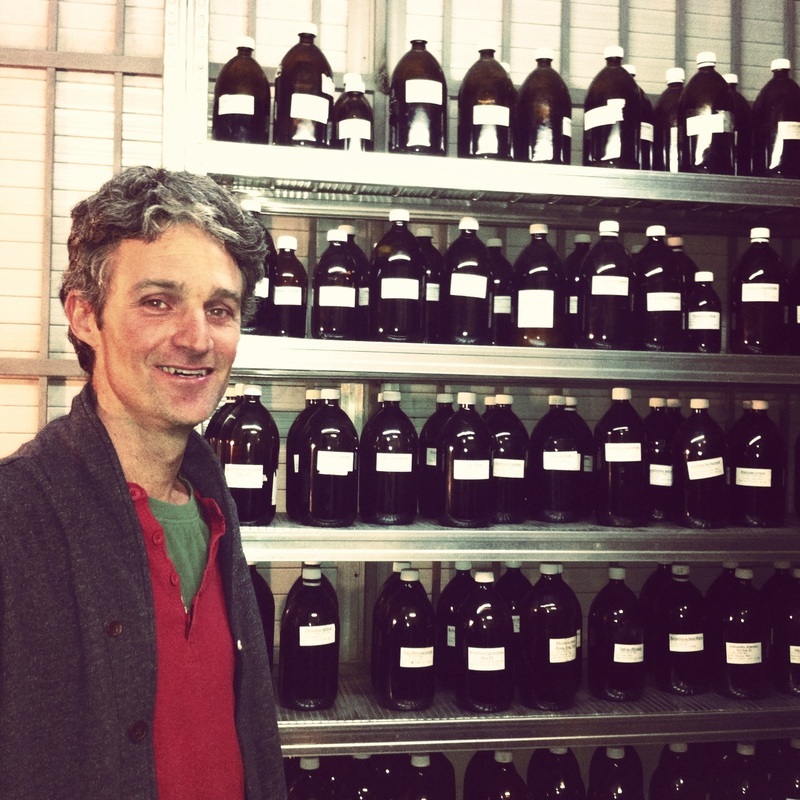 Dr. Nerman is trained in both Eastern and Western Herbalism. His education and training focused on understanding the phytochemical constituents found in hundreds of herbs and how to safely use them in the treatment of disease. The advantage of plant medicine over Western pharmacological drugs is that plants tend to have better curative results without the side effects. As well, each plant has several constituents and can be used for a multitude of ailments. Dr. Nerman designs custom formulations of herbs to meet the individual health needs of each patient. Dr. Nerman will often give a herbal prescriptions for a wide array of health issues, often combining herbs into tinctures, (alcoholic extracts of plant material) creams, poultices, or infusions. Dr. Nerman relies on the guidance of both evidenced based research and traditional historical uses of European, Auryvedic, Oriental and Greek herbalism to choose the correct herbal medicines. Dr. Nerman believes in treating the individual and as such his herbal formulations are chosen with each patient's specific medical needs in mind. Dr. Nerman's training focused heavily on integrating western medicine with herbal medicine and as such Dr. Nerman takes into consideration the allopathic (prescription) drugs you are taking in order to prescribe the herbs safely. Dr. Nerman tries to use wild crafted organic herbs if possible. (1) Sumner, Judith (2000). The Natural History of Medicinal Plants. Timber Press. p. 17. Nir Avraham, Certified Herbalist from the California School of Herbal Studies makes up the custom herbal prescriptions formulated by Dr. Nerman. Clinical nutrition is the study of the relationship between food, vitamins and a healthy body. More specifically, it is the science of specific nutrients and how they are digested, absorbed, transported, metabolized, stored, and eliminated by the body. Sometimes a person is missing nutrients because they are not being eaten in the diet or because the body is not digesting them. This can lead to all types of illnesses. As such, Dr. Nerman uses nutritional supplements to help bring the body back to optimal health. The term "nutritional supplement" refers to vitamins, minerals, and other nutrients that are used to support good health and treat illness. There is much evidence for the use of vitamins and supplements in the treatment of various diseases. Sometimes a higher dose of a vitamin works like a drug to provide a solution to a health issue. However, not all "drugs" are safe to be used in certain conditions. Proper training and scientific medical knowledge is crucial in making the right choices about which vitamins are safe to take. Dr. Nerman has been trained extensively in nutrition and has the tools to make sure you are safely taking the proper combination of vitamins and supplements for your health condition. Dr. Nerman believes that that the diet and the foods that we eat can be a major source of both illness and health. Every patients that comes to see Dr. Nerman receives a full dietary assessment to see the foods they are eating may be the cause of their illness. Often times a specific food allergy may be the culprit for stomach problems, skin conditions, fatigue or migraines headaches. Other times the selection of foods a person is eating is not giving them proper nutrients and is leading to health problems such as fatigue or low immunity. Dr. Nerman likes to say, "Eat good, Feel good...its that simple." From a Chinese medical perspective there are instances where in specific health conditions certain foods are harmful, and where other foods would be beneficial and curative. This is the concept of using foods as medicine, which is a key principle Dr. Nerman uses in his treatments. Dr. Nerman has 4 years of extensive education and training in advanced therapeutics in Nutrition. Dr. Nerman works with each patient to adjust their diets so that they are eating a more balanced and healthy range of foods. Dr. Nerman uses the latest research to help patients choose the right foods. Key in Dr. Nerman's diet counseling is the idea of eating for preventative health. More and more research is showing that diet has a major impact on long term health especially at preventing heart disease, cancer and diabetes. Dr. Nerman works with simple to complex diets for various medical conditions such as diabetes, hypercholesteremia, and kidney disease. Homeopathic remedies are derived from substances that come from plants, minerals, or animals, such as red onion, arnica (mountain herb), crushed whole bees, white arsenic, poison ivy, belladonna (deadly nightshade), and stinging nettle. Homeopathic remedies are often formulated as sugar pellets to be placed under the tongue; they may also be in other forms, such as ointments, gels, drops, creams, and tablets. Treatments are “individualized” or tailored to each person—it is not uncommon for different people with the same condition to receive different treatments. Homeopathy is practiced in various forms, Acute, Classical/Constitutional or Complex - Dr. Nerman is trained in all three modalities of homeopathy. In acute prescribing, a remedy is chosen based on symptoms that are presenting acutely during the course of the illness such as fever, cold or flu. The choice of remedy is not based on the unique constitution of a patient. Constitutional prescribing is called Classical homeopathy and it takes into consideration the specific inborn nature (constitution) of the patient. Extensive case taking is required in Classical homeopathy to find the right remedy. Over 6000 remedies exist in nature and Dr. Nerman uses specialized computer programs to find the correct remedy based on the patients individual symptom picture. Although finding the constitutional remedy is time consuming, it can have powerful effects on the health of the individual, at times producing cures that can not be found via any other medicine. To book an appointment to find your constitutional remedy click here. Finally Dr. Nerman is trained in homotoxicology which is the use of complex mixtures of specific homeopathic medicines to help the body better detoxify itself, this is best used in the case of chronic conditions such as Fibromyalgia, Rheumatoid Arthritis and Eczema. Hydrotherapy uses water to gain therapeutic benefits; these can be exploited to achieve a range of responses which can relieve symptoms and improve the way the body works. Water can be used in a number of ways. It can be applied to areas of the body, or the body (or parts of it) can be immersed in water, and various substances such as essential oils, clay, Epsom salts can be used in water to alter its effects. 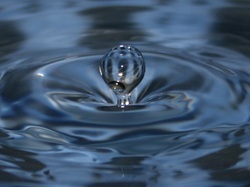 Water can be used hot, warm, or neutral (body temperature), cold, or as ice or even steam. Water can be applied at an even temperature directly or via material, such as a cotton towel, and then alternated with either hotter or colder water in order to stimulate a response from the body. With careful application, and using scientifically applied principles, we can direct blood or withdraw blood to any part of the body. This can be a very useful tool to accelerate the body's own healing potential. A working hypothesis of Naturopathy is that health, and therefore healing, is proportional to the normal flow of healthy blood. Specifically, this refers to the quantity and quality of blood flowing through a given tissue. Through the application of hot and cold compresses, we can regulate and in fact increase or decrease the circulation in any part of the body. We employ this mechanism through the use of Hydrotherapy (thermal therapy). Dr. Nerman uses various techniques in hydrotherapy to treat a variety of chronic diseases. Massage is a general term for pressing, rubbing and manipulating your skin, muscles, tendons and ligaments. Massage is generally considered part of complementary and alternative medicine. It's increasingly being offered along with standard treatment for a wide range of medical conditions and situations. Trigger points are areas of taunt, hyper-contracted bands or nodules within a muscle. They’re tender to touch and have a predicted pain referral pattern. Trigger point massage massage focuses on areas of tight muscle fibers that can form in your muscles after injuries or overuse. Soft tissue manipulation offers an effective and proven method to reduce chronic muscle pain and myofascial dysfunction. Manipulation of this kind improves general function through releasing muscle tension. Dr. Nerman has training in Message, Trigger Point Release, and Soft Tissue Manipulationas part of his Naturopathic Medical education. Chiropractic medicine is based on the belief that the spine and health are related in a fundamental way, and that this relationship is mediated through the nervous system. Dr. Nerman examines the biomechanics, structure and function of the spine to assess if structural misalignment may be having an effect on the musculoskeletal and nervous system. Often certain conditions such as acid reflux, back pain, and neck pain are caused by anatomical misalignment of spinal vertebrae and without realignment through a chiropractic adjustment relief for a patient can not be found. Dr. Nerman has received extensive Chiropractic training as part of his Naturopathic medical school education. (1) Singh S, Ernst E (2008). "The truth about chiropractic therapy". Trick or Treatment: The Undeniable Facts about Alternative Medicine. W.W. Norton. pp. 145–90.